Next Show – **SUNDAY** 4TH NOVEMBER 16:00 to 18:00 – get those requests in! 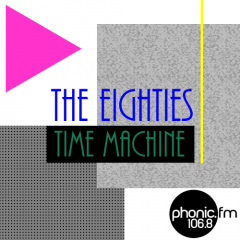 Next Show – **MONDAY** 8th October 20:00 to 22:00 – get those requests in! Hello 80s Time Machine fans – we have a new schedule for October and November, so dig out your filofaxes, and plug these dates in! Most importantly, please note the change in days! !